Hey all, welcome!!! 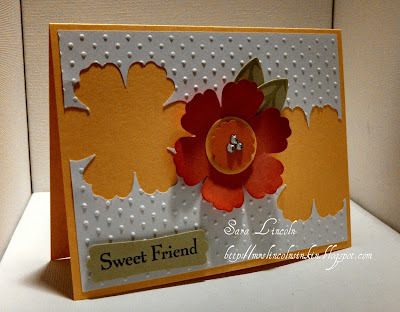 Today's post is quick, a card that i made using the Blossom Punch. 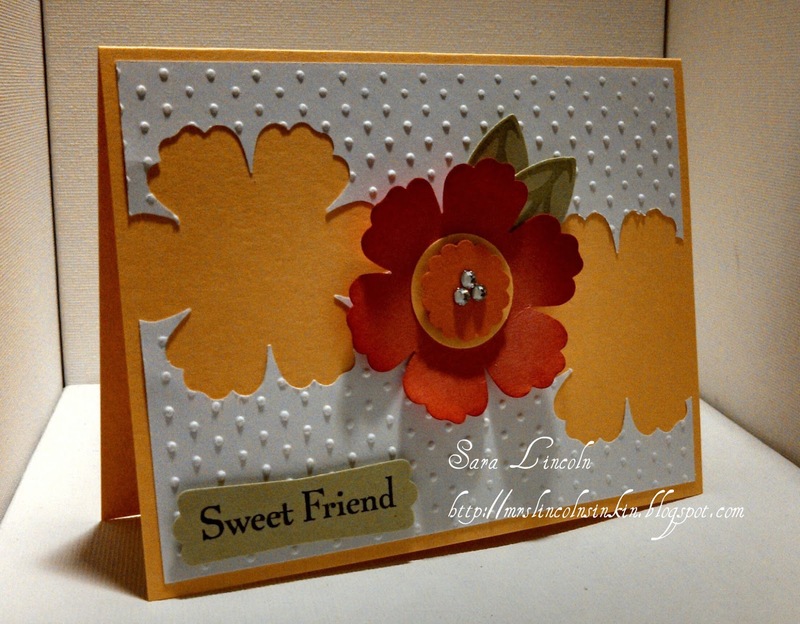 I wanted to make my top layer, a piece of Whisper White which i ran through my Perfect Polka Dots embossing folder, a little different. So, i used my punch and punched on each side, hanging off a bit, so that you could see the Daffodil Delight underneath. I then topped it with another punch on top. I just think that it makes for such a nice, simple, little way to show someone you care!! The base of the card measures 5 1/2" x 11" scored at 4 1/4". For the top Whisper White piece, i cut that at 5 1/4" x 4", to have the Daffodil Delight become a "border".